Our new location is now open! Come see us! Ask us about our NEW late evening appointments! We will take complete care of your family's eye care needs! Come see our new and expanded selection of prescription eyewear and spectacular sunglasses! EYECARE ROCKWALL is a full service eye and vision care provider and will take both eye emergencies as well as scheduled appointments. Patients throughout the Rockwall/Rowlett/Lake Ray Hubbard area come to EYECARE ROCKWALL because they know they will receive the personal attention and professional care that is our foundation. Dr. Holly Fisher Britt and her staff are dedicated to keeping our patients comfortable and well-informed at all times. At EYECARE ROCKWALL, we will explain every exam and procedure and answer all of our patient's questions. Additionally, at EYECARE ROCKWALL, we offer so many options and will work with vision insurance providers to ensure good eye health and vision care for all of our patients. Our unique approach to optometry makes Dr. Holly Fisher Britt and the EYECARE ROCKWALL staff THE eye and vision care providers of choice in the Rockwall/Rowlett/Lake Ray Hubbard area. 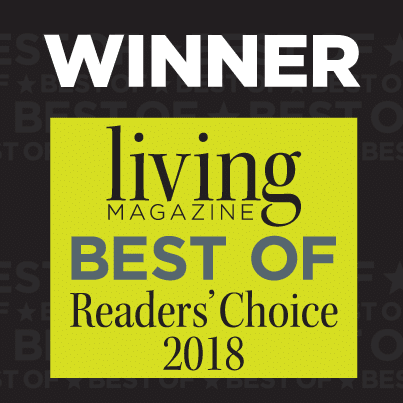 No wonder our patients voted Dr. Holly Fisher Britt and EYECARE ROCKWALL the "Best Optometrist Award" two consecutive years in Lakeside Living Magazine. EYECARE ROCKWALL offers the following services: comprehensive dilated eye examinations, contact lens services and specialties, the latest in spectacle lens technology, glaucoma testing/management, diabetic eye care, and pre- and post-operative LASIK/PRK and cataract care. Our Doctors also work-in emergency services, coordinate for high-risk medications and manage ocular disease such as macular degeneration. We see patients of all ages, specializing in health and wellness, prevention and options for treatment. For a complete list of services, visit our services page or call our office at 972-472-2020. At EYECARE ROCKWALL, we are dedicated to providing high-quality optometry services in a comfortable environment. Call us at 972-472-2020 to schedule your appointment!! We will provide you with the best care, advice, options, continued care and referrals to the best in our fields of eye specialty. "Dr. Britt’s staff fit me in immediately when I had an eye injury. Dr. Britt closely monitored my eye during several follow up visits. She and her staff are beyond caring."